The airport and the DMV are the two best places in the world for the sport of people-watching. For diversity, there is no better place in the world than London’s Heathrow airport. 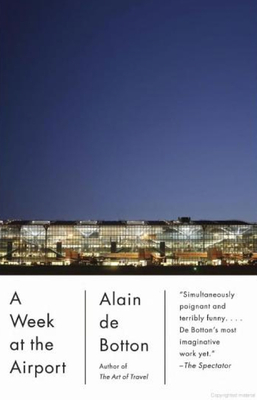 Alain de Botton was hired by British Airways to spend a week at Heathrow’s Terminal 5 and write a book about his experience. It is an engaging read, easy enough to complete in one sitting, but worthy of a slower pace. It examines why we fly, the intersection between art and commerce, the choreography of an ediface that took 20 years to build. You might think of it as “light plus” reading. There are photos on every page (that’s the light). With the book classified as Travel/Philosophy, there is more commentary on life than on luggage (that’s the plus!). 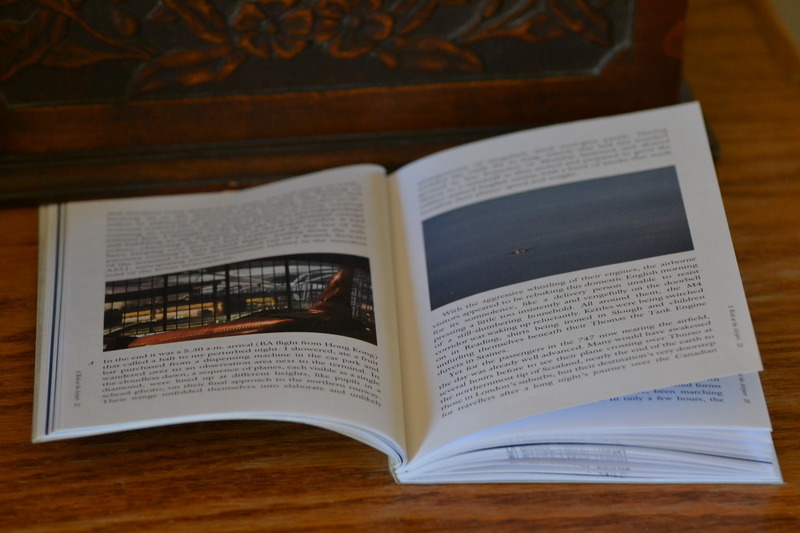 The book reminded me of reading The Geography of Nowhere. Of course it did! 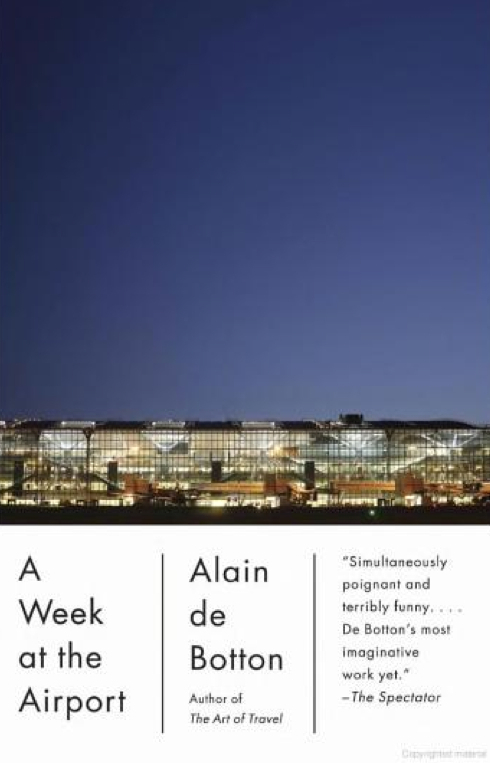 There’s a full-circle connection: LaurieLH remarked that Geography of Nowhere was similar to a book she was reading by Alain de Botton, <a href="http://www.xanga.com/private/“>The Architecture of Happiness. It was in looking for The Architecture of Happiness at my public library, that I found A Week at the Airport! I found it delightful. Not earth-shattering, nor life-changing, but a mixture of trivia and truth. This entry was posted in Uncategorized and tagged bookreview, quotes, travel by alivingpencil. Bookmark the permalink. Sounds like a MOST interesting read. Now you have me wondering the best way to get hold of a copy! I have bought more than one book after reading your reviews!